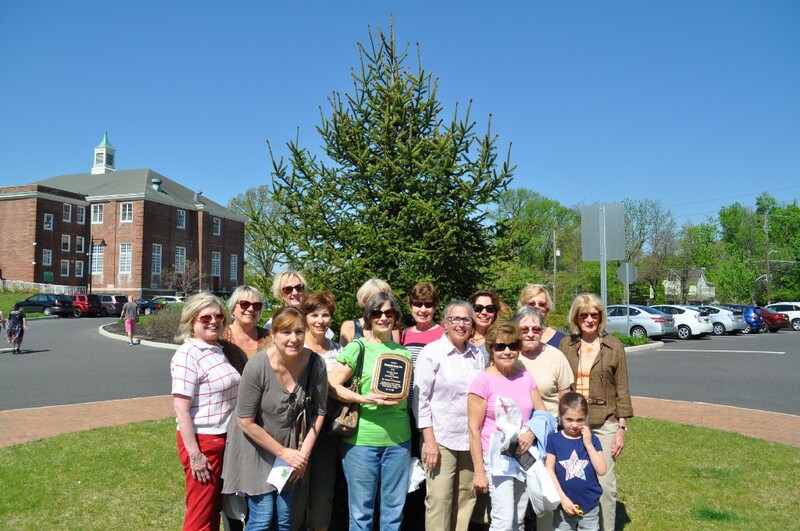 Members of the Moorestown Garden Club posed in front of the newly planted tree at the library. For every car, there needs to be 100 trees planted; For every truck, 1,000 trees are needed; and for every airplane, 10,000 trees are needed, Save the Environment of Moorestown President Joe Ponessa said at the annual Arbor Day celebration on Friday. 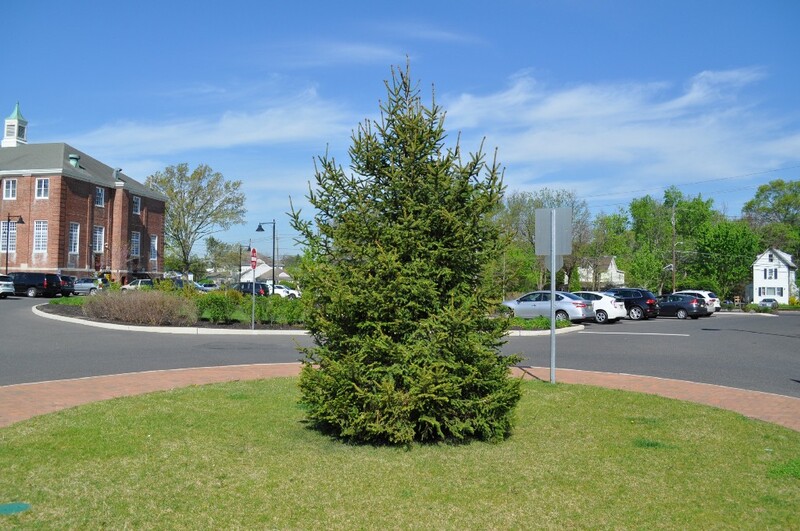 This year, a Norway Spruce was planted at the Moorestown Library, continuing the yearly tradition of providing trees throughout the township to encourage the celebration and recognition of Arbor Day. Arbor Day is a day to celebrate the many benefits trees give, and the best way to do that is by planting a tree, according to Moorestown Tree Planting and Preservation Committee member Kathy Logue. Logue hopes the newly-planted tree outside the library will reinforce the location as a community center and gathering spot. The committee’s yearly Arbor Day tree-planting celebration has earned Moorestown the recognition of a Tree City USA by the National Arbor Day Foundation. Two years ago, the committee planted 77 trees at Wesley Bishop Park as part of the state Arbor Day celebration. This year’s celebration was co-sponsored by the Moorestown Garden Club as well as Moorestown Township Public Works. 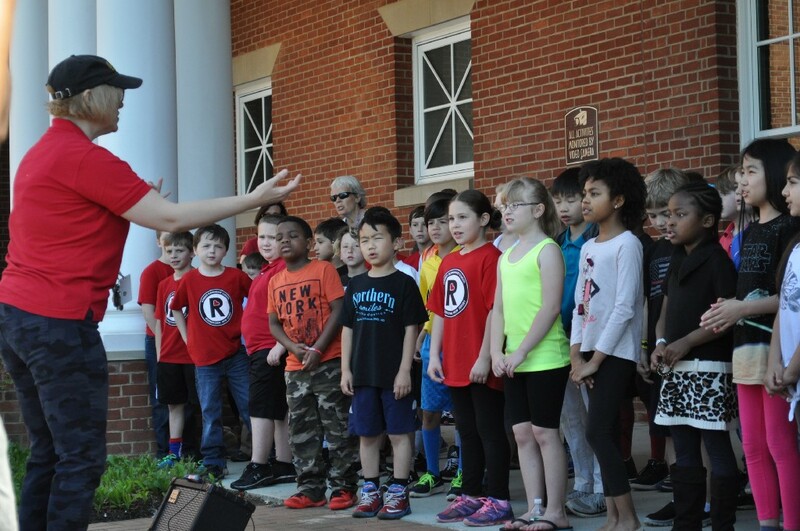 The entire third grade class from Roberts Elementary School provided music and entertainment for the Arbor Day celebration. According to the committee, trees provide many benefits including beautification, privacy, noise abatement, recreational activities, wildlife habitat reduction and energy consumption. The committee typically plants a tree on Arbor Day, but due to the size of the tree, it had to be planted ahead of time. Once mature, the evergreen may grow as large as 40 feet to 60 feet high and between 25 and 30 feet in width. Sandra Daniels, co-chair of the Arbor Day Planning Committee, said they chose an evergreen because it will stay green year-round. “We try to involve kids and have kids be aware of nature and the benefits of having trees,” Andrew said. Moorestown Tree Planting and Preservation Committee chairman John Gibson got involved with the committee recently after his retirement approximately eight years ago. His love for trees began when driving home from work, he realized the temperature on Moorestown’s Chester Avenue was much more comfortable due to the trees lining the street. “The temperature would immediately drop about 10 degrees and I thought this was great,” Gibson said. Since then, his love for trees has only grown. When mature, the Norway spruce tree will grow as high as 40 feet to 60 feet tall, and 25 feet to 30 feet wide. According to the planning committee’s Co-Chair Sandra Daniels, they chose this evergreen because it will stay green year-round. While Arbor Day is the biggest day of the year for the Tree Planting and Preservation Committee, they help in the township throughout the year by raising trees and providing tree advice to residents. The committee plants about 70 trees in Moorestown each year. The committee also has a Tree Remembrance Program that encourages residents to make a donation in honor of a special person or event, such as a birthday, wedding or graduation. A certificate is issued upon donation, and and the proceeds will be used to supplement Moorestown’s tree planting program. This year’s tree was planted in remembrance and honor of township residents. The committee is encouraging residents to plant trees in celebration of Arbor Day. The Moorestown Tree Planting and Preservation Committee holds its meetings, which are open to the public, on the second Tuesday of every month at 7:30 p.m. at Town Hall. For more information or to inquire about volunteering, visit www.moorestown.nj.us and search “trees” or email moorestowntrees@gmail.com.